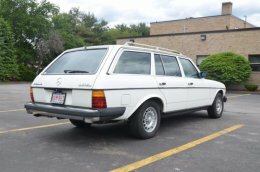 This 1980 Mercedes-Benz 300TD shows 60k miles and is powered by a 3.0L inline-five cylinder diesel engine. 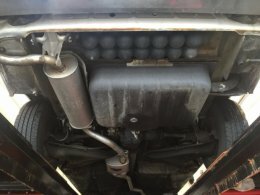 Records indicate that the car was purchased on July 25, 1980 at a Mercedes Benz dealership in Mission Viejo, California and was owned in Laguna Beach. 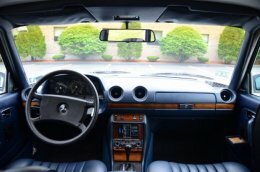 The seller has added 30k miles since acquiring it from a charity ten years ago after it was donated by the family of the original owner. 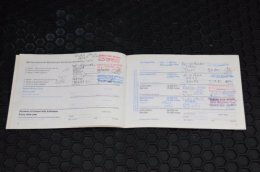 The original service booklet documents completed scheduled maintenance, and almost $24k in receipts are included from 2006 to today. This Mercedes is offered with a clean Massachusetts title in the seller’s name. 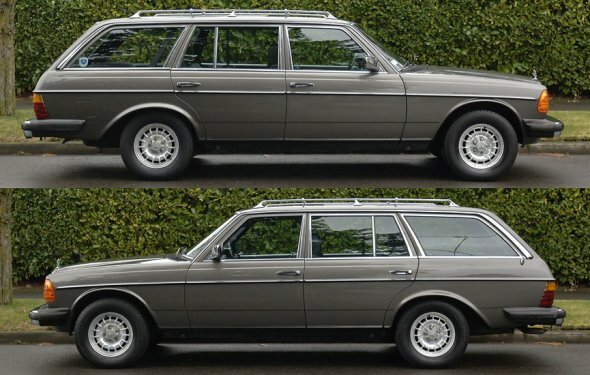 North American W123s featured unique exterior appointments that included larger bumpers, circular sealed-beam headlights, and circular fog lamps. The seller notes that both front fenders have been replaced and repainted, while door dings were repaired at the same time. The remainder of the paint is believed original, with one area of clear coat failure on the passenger-side front door. Rust is pictured at the bottom of the doors in the gallery. The US-spec lights and bumpers appear to show minimal pitting for their age, with the front bumper strip replaced in 2012. Interior door seals were replaced around the same time and a replacement antenna and grommet have been fitted. Some corrosion is noted on the edges of the tailgate as well as the bottoms of the doors. Factory glass stampings are present, and this example is fitted with a chrome roof rack. The Bundt wheels have been refinished and are mounted with chrome lug nuts and Michelin Harmony tires, two of which show signs of dry rot. Finished in blue over walnut trim, the original front seats were replaced with seats from a 1985 Mercedes 123 and are finished in matching blue MB Tex. All gauges are reportedly functional, and the A/C was converted to R134a in June, 2017. Cup holders have been installed on the doors, and the seller notes that the cassette player is not functional. The factory seats, a set of Coco floormats, and the factory medical kit are included in the sale. The odometer shows 59, 681 miles and is consistent with service records.